Finding a dependable, affordable company that specialises in commercial kitchen cleaning in London is not an easy task, but we can provide one of the best services around at the best possible price, with a team of comprehensively trained and fully qualified cleaning technicians. We understand that when it comes to commercial kitchens, there are certain hygiene and cleanliness standards required by law, so you can rely on us to provide a bespoke clean to the highest possible standard, complying with every regulation. Dedicated technicians that are fully trained on the various industry and safety standards and legislation. 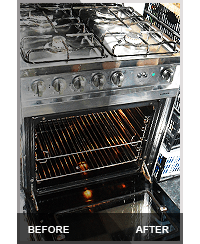 What Do We Include in Our Commercial Kitchen Cleaning Services? 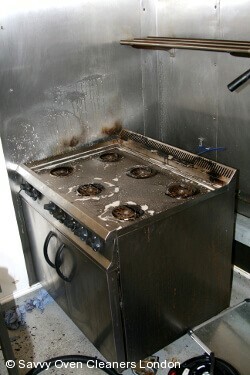 Simply put, our commercial kitchen cleaning services cover everything. We'll polish surfaces, floors, shelving units and all other parts of the kitchen, including all food preparation areas and the exteriors of all appliances, leaving you with a kitchen that's ready to use right away. We know exactly which cleaning products to use on which surfaces, and use only the latest, specially-formulated solutions in all of our work. These have been chosen for their environmental-friendliness in addition to the high quality hygiene and results that they produce. Inspection worries will be a thing of the past when your commercial kitchen is regularly maintained by the cleaning team. Our Deep Kitchen Cleaning Option Has You Covered! As the heart of your business, we know how important it is that you hire the right company to perform deep kitchen cleaning. To that end, we provide an optimal standard of service that’ll pass any inspection and keep your kitchen hygienically clean. In addition all of the technicians have undergone comprehensive training, are vetted and come to you completely insured for that extra peace of mind. You can see for yourself exactly what you can expect by visiting our testimonials page. For Kitchen Duct Cleaning and More Give Us a Call! Hiring a kitchen duct cleaning service or indeed any one of our other cleaning services is really easy, you only need to pick up the phone. Calling 020 3404 2255 will get you through to one of our customer support representatives and they'll be happy to give you a free service quotation, talk about our prices or discuss any number of inquiries you may have. But as you're already online there is a convenient contact form or chat option attached to this site.